A Perfusionist is a healthcare profession whose sole responsibility is to sustain patient life when their heart or lung function has been stopped. To do this, Perfusionists monitor a patient’s cardiovascular activity and operate biomedically-engineered devices which support vital life functions. Most often this includes using a heart-lung machine, a device that temporarily takes over the functions of the patient’s heart and lungs, especially common during open heart surgery. Thus, Certified Clinical Perfusionist (CCP) will usually assist in these types of specialized cardiac surgeries. When such a surgery begins, a Surgeon will initially connect the patient to the heart-lung machine by inserting cannulas, or tabular instruments, into the blood vessels which bypass the heart and lungs. When instructed by the Surgeon, a Perfusionist will then stop the patient’s heart via the administration of a specific medication. As the Surgeon works, the Perfusionist will then manage all heart, lung and blood vessel functions. Ultimately, the machine continues working by drawing blood from the patient, adding oxygen to the blood, removing carbon dioxide and pumping the blood back into circulation. In cases where a patient’s heart stops and needs to be restarted, or when a patient is experiencing an irregular heartbeat, Perfusionists may operate electronic pacemakers or defibrillation devices as well. To become a Perfusionist, learners must enroll in a post-secondary education program focused on perfusion. Different programs may vary in length depending on the number of required credits and the type of accreditation. Examples of the qualifications learners may be awarded include a certificate in perfusion science, a Bachelor’s Degree or a Master’s Degree. Ultimately, a learner should pursue a program which matches their long term goals and their current level of educational, credentialing and work experiences. Sometimes Registered Nurses, Medical Assistants, Emergency Medical Technicians or other healthcare career professionals who have already earned a Bachelor’s Degree will then choose to become Perfusionists. Since they already have a Bachelor’s Degree, these individuals either pursue a Master’s Degree in perfusion or seek to earn a certificate in perfusion. After completing a Perfusion program, learners take a written exam administered by the American Board of Cardiovascular Perfusion to become certified. Some states also require that Perfusionists be licensed as well. Almost all settings require that CCPs keep pace with the newest technological changes and update their skills as needed to adapt to new technologies or procedures. To advance in a career as a Perfusionist some professionals choose to “switch gears” and enter the realm of academia. These professional educators instruct learners on how to assemble, prime and operate heart-lung machines and related devices. “Perfusionists could advance their career through management, specializing in areas such as pediatrics, ECMO, clinical specialist, sales, or through becoming their own service provider,” Reisinger advised. Other Perfusionists looking to advance their careers take part in research opportunities. However, if education for management does not sound like an ideal avenue for advancement, Cardiovascular Perfusionists can also seek remote employment through distant medical facilities. Through these facilities, CCPs can essentially dial in to cardiac monitoring devices from a remote location and communicate and instruct healthcare personnel on how to operate or troubleshoot the necessary life-support devices. “Skills that help a person succeed in this profession are first-and-foremost communication. You work as a team in the operating room and communicate directly with the Surgeon on every step of a procedure,” Reisinger affirmed. Strong communication allow Perfusionists to converse back-and-forth with Surgeons and Anesthesiologists without errors. They assist these professionals in communicating with other healthcare staff members as needed. Perfusionists should also have endurance, as many surgeries can last longer than 3 hours. In these circumstances, they need to operate a heart-lung machine the entire time, while staying alert and ensuring that the machine is operating smoothly. “The ability to manage stress well, inside work and once you leave, is also critically important” Reisinger added. Working as a Certified Clinical Perfusionist requires that a professional be brave and trust in themselves enough to act quickly and efficiently when the flow of a heart-lung machine is disrupted. They should also be able to work well in teams, which is important since they work with Surgeons, Surgical Technologists and Anesthesiologists. Cardiovascular Perfusionists should be organized and focused professionals and be aware and task-oriented. Most Perfusionists are employed full-time and work set schedules, but they may also be asked to remain on-call. If an emergency occurs when they are “on-call”, these professionals will be expected to rush to a hospital or other surgical setting to assist. This is the case for many allied health careers. 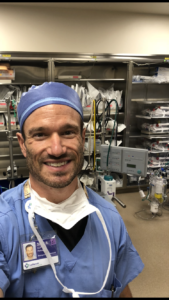 “Before any surgery I try to review the patient chart, and check data like age, gender, height, weight, lab work and any comorbidities the patient has that might affect the cardiopulmonary bypass run,” Reisinger explained. “My day of usually starts early, before the patient arrives, setting up a circuit, customizing to the patient and choosing appropriate cannula for the patient to be connected to the heart-lung machine.” The Perfusionist collects all the components of a heart-lung machine, assembles them and ensure that each component is operating properly. As these professionals routinely practice during stressful surgeries, Certified Clinical Perfusionist must be able to observe and react to the smallest changes in events in highly volatile situations. Therefore, Perfusionists must be able to remain professional and keep their emotions in check at all times. 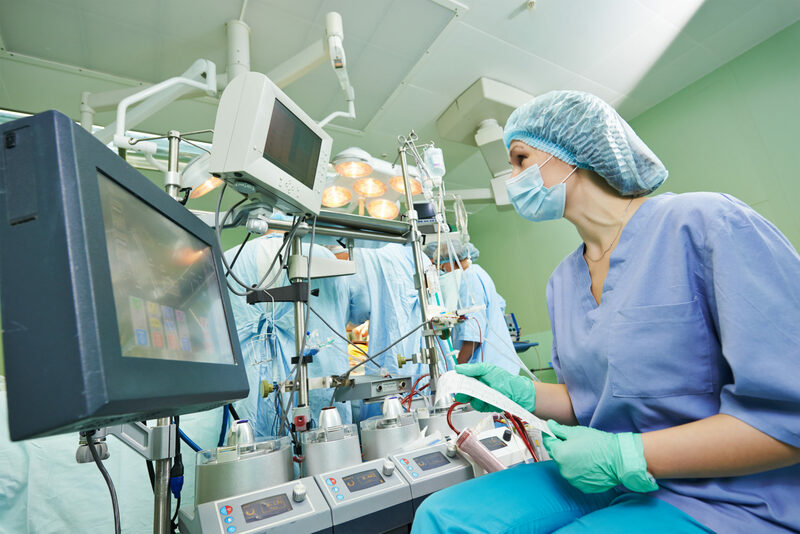 The career outlook for Perfusionists is strong as more and more surgical settings are hiring these professionals not only for cardiac surgery, but increasingly for other types of surgeries and interventions. For example, Perfusionist skills are now being used for the chemotherapy treatment of cancer patients and in emergency trauma care. In addition, a growing awareness of how to treat heart disease and heart defects is increasing demand for these professionals. Furthermore, as the baby boomer population ages, the prevalence of heart conditions such as cardiovascular disease are increasing, further creating greater demand for Certified Clinical Perfusionists. The annual median salary for a CCP is $126,263. However, this number will vary depending on a professional’s years of experience, employment setting and the region in which they practice. Salaries usually range from $66,000 to $137,868. While starting pay is strong, income may flat-line over time due to few promotion opportunities. “I would say that the earnings in this profession are in-line with that of other mid-level healthcare degrees,” Reisinger added. The American Academy of Cardiovascular Perfusion (AACP) is an organization committed to increasing cardiovascular perfusion education. The AACP does this by establishing a constitution, bylaws, characteristics of an effective perfusion education program and guidelines of perfusion practice. The organization has also established officers, a council and various committees dedicated to advancing education in this field. The American Society of Extra-Corporeal Technology (AmSECT) is an organization designed to foster improved patient care and safety by providing for the continuing education and professional needs of the extra-corporeal circulation technology community. In doing this, AmSECT has increased national support of becoming licensed through government relations, enhanced the scope of perfusion practice, supported educational programs on the national level and more. Why did you choose to become a Perfusionist? What Do Cariovascular Technologists Do?